Why do storm warning always YELL? OMFG WE’RE ALL GONNA DIE! While I’m on the subject, why do they keep writing storm warning like they are radio announcements? A different medium, warrants a different style. 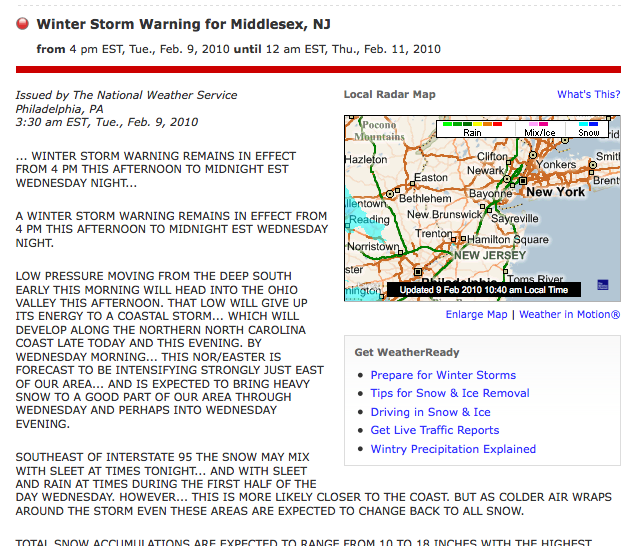 Well, it looks like the Snowpocalypse, the Snowmageddon, the End of Snow Days, are coming to the East Coast. If I don’t update, it’s because I don’t have power. Great catch on that! He missed his meds that day.